Second Engineers required for Bulk carrier fleet. We offer long term employment with 4 months on/ 2 months off and attractive remuneration in USD. All ships were built between 2010-2013; - mixed crew on-board; - world-wide trading; - full engine team (C/E; 2/E; 3/E; 4/E; ETO; ratings). Previous experience on bulk vessels and cranes required. Minimum 12 months experience in rank on similar type of vessels. 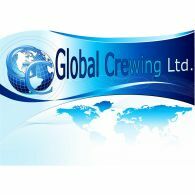 Age limit of 50 years; If of interest, please send us your CV on our email- office@globalcrewing.eu.